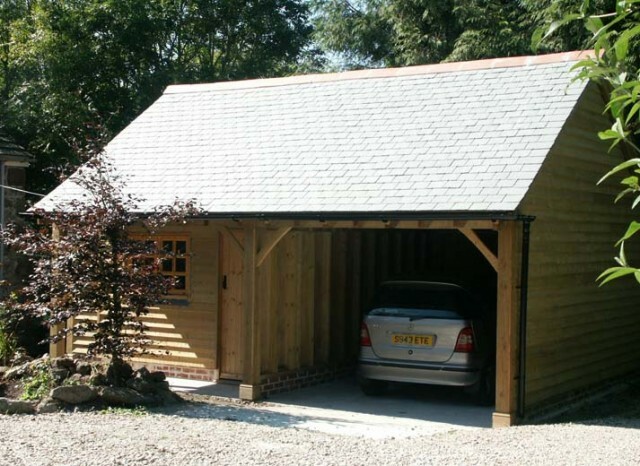 This compact yet versatile garage has ample parking room for a single car as well as a secure adjacent room. 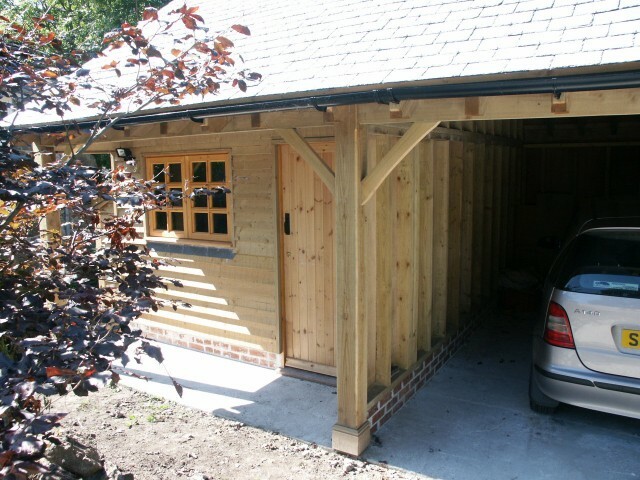 The room in this build is used as a workshop there is also a wood store on the side of the building. 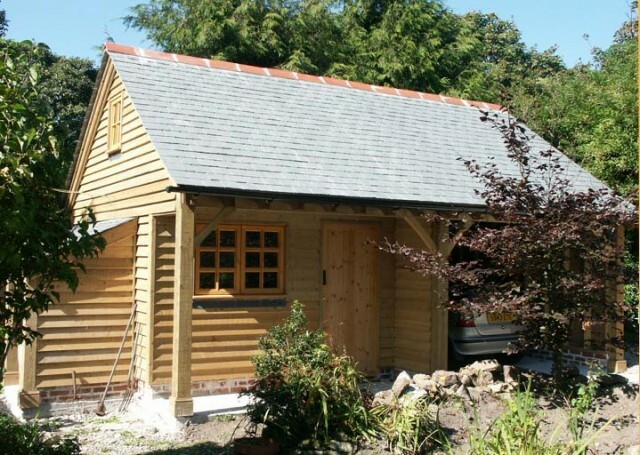 The timber cladding is feather edge and the roof is slate. Other cladding and roof coverings are available. 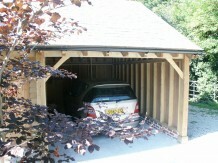 Structurally graded and fully tanalised – 9mm Structural Ply. 100mm x 50mm Redwood internal walls. 35mm x 170mm Redwood feathered edge (other options available). Standard 22mm x 150mm V-jointed tongue and groove Redwood (Other sizes, mouldings available). Exposed main Glulam beam 90mm 400mm. Exposed V – jointed Tongue and Groove cladding. Rafters 50mm x 175mm @ 600mm centres. Cellotex double R GA 85mm thick. All windows are softwood and double glazed. Internal doors are Redwood ledge and braced. Double patio doors are hardwood and double glazed. 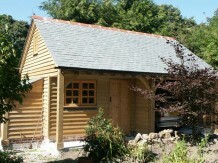 Exterior of cabin, windows and doors are treated with 2 coats of oil based preservative, colour to customers choice. Interior of cabin is flame retardent varnish to all exposed timber. 2250mm (for single story garage). 3750mm (for single story garage). Arrives on site as panels and bolted together, all cladding fixed on site. Prices include delivery and erection on prepared base which we can quote for. Our prices do not include fixtures and fittings. However we do have our own approved, electricians and kitchen manufacturers and fitters and can therefore arrange this work for you.